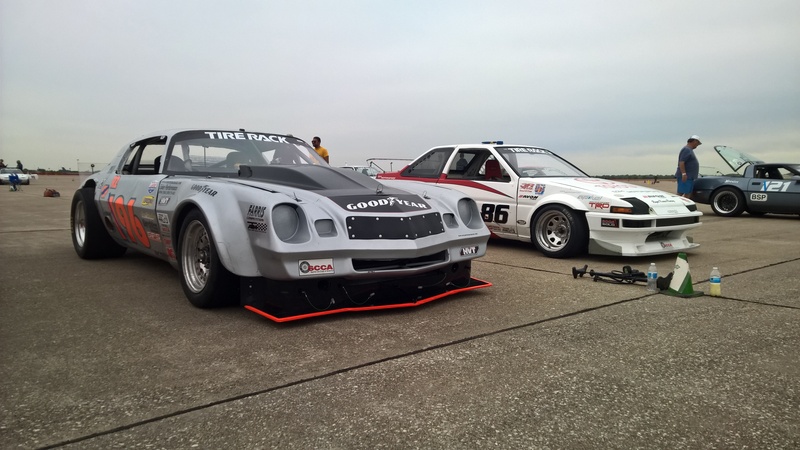 2015 Lincoln ProSolo and Spring Nationals! Well this post is very late, but doesn’t mean it’ll be lacking for some good stories! 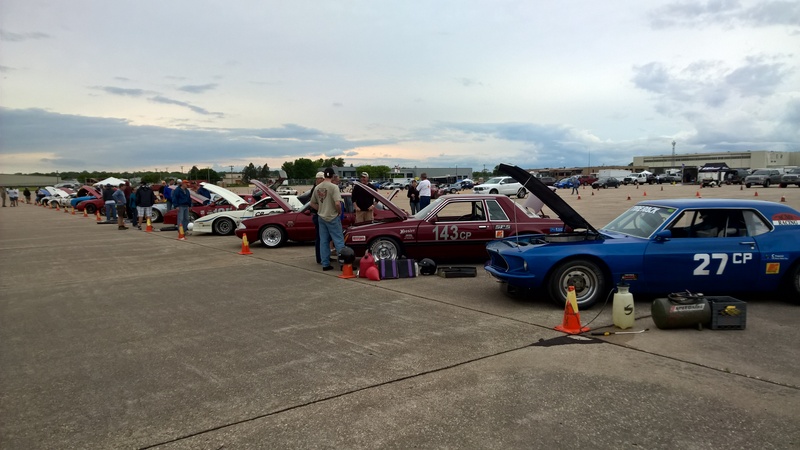 About 2 weeks ago, we made the long trek up to Lincoln to do a double header – the ProSolo (a first in the Camaro) and the Championship tour. 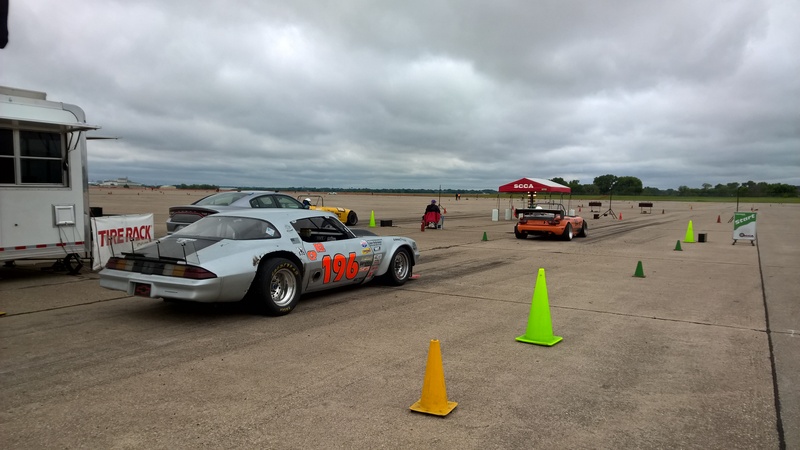 For those who aren’t familiar, ProSolo is a hybrid of autocrossing and drag racing. It’s an event we’ve not attempted in the past it is VERY unfriendly to Prepared cars. The main reason is the launch. You have a burnout box and then a drag strip style launch. This isn’t very kind to small clutches like we run. The other is that since so few Prepared cars run it, you get lumped into a catch-all class with other cars. With our big slicks, they take a few runs to come up to pressure, while the smaller car/tire guys can be hot after only 1 run. This means fewer competitive laps. 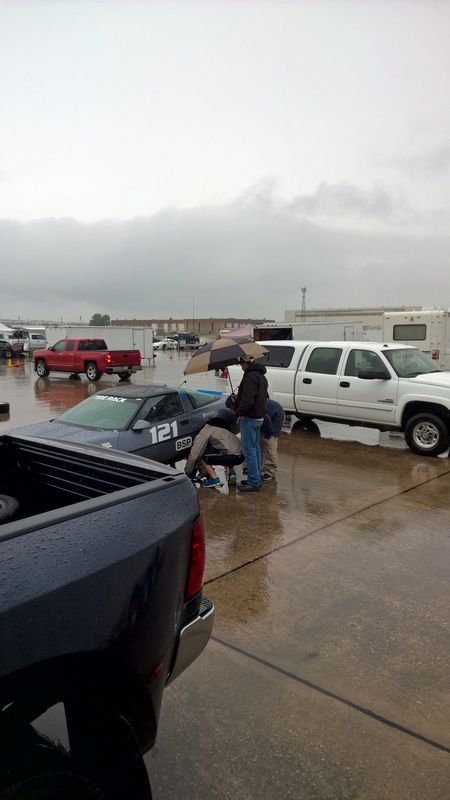 Nonetheless, the Camaro performed flawlessly during the Pro! It was Todd and I who didn’t, ending up 7th and 9th in R2 respectively! Even then, we had a blast. We ran a set of well-used bias-ply tires, so we weren’t in any way planning to challenge for the win. 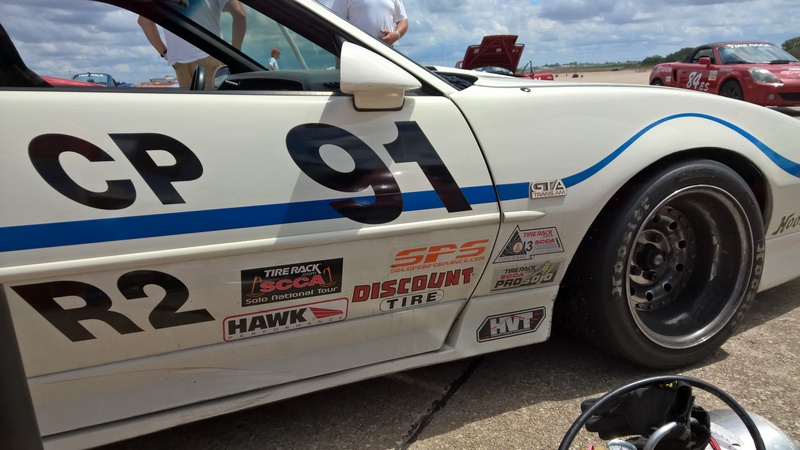 The goal of the Pro was #1 – don’t break the car, #2 get some seat time, and #3 have fun! I would say that we accomplished all 3! I have lots of video from the Pro, but the most entertaining have to be Session 1 for both Todd and I. Getting used to the tree and how a Pro works, was just entertaining. We called Todd “Captain Red Light” after red lighting (leaving early) on 3 out of 4 of his 1st session runs! I’ve intentionally left in some of the “filler” between runs so that you can get a real-time experience of what running a ProSolo is like. I was miles off the cones myself, got obliterated by a Miata (see the first run, ouch! ), and then tried to launch in neutral! Todd did the same thing later in the weekend, so we each got some crap from the stock-class boys we don’t have to deal with things like finicky clutches! While we were running, our travel companions for the trip, Daniel McCelvey and Jim Kritzler were experiencing some ProSolo generated issues of their own. Jim and Daniel rolled the car out of the trailer and found that it had a bunch of toe-out on the left hand side. Mark Madarash lent them some toe plates, but they had to put up with Mark telling they went with too aggressive a clutch to do ProSolos! You see, Daniel had gone to the Blytheville ProSolo and broken a u-joint and driveshaft. Well, here Daniel broke the replacement stub axle! 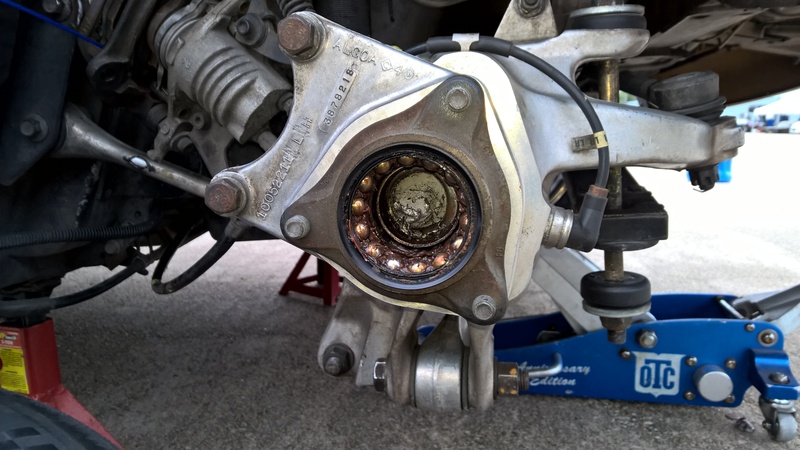 We can’t entirely blame him though because when the u-joint and driveshaft broke, they tore up the inside of the upright and hub, necessitating replacement. Well, Jim now has the knowledge that you cannot replace an ’89-90 Corvette upright with one from a different year, no matter what the book says. These guys easily got “most heroic fix” for the weekend. 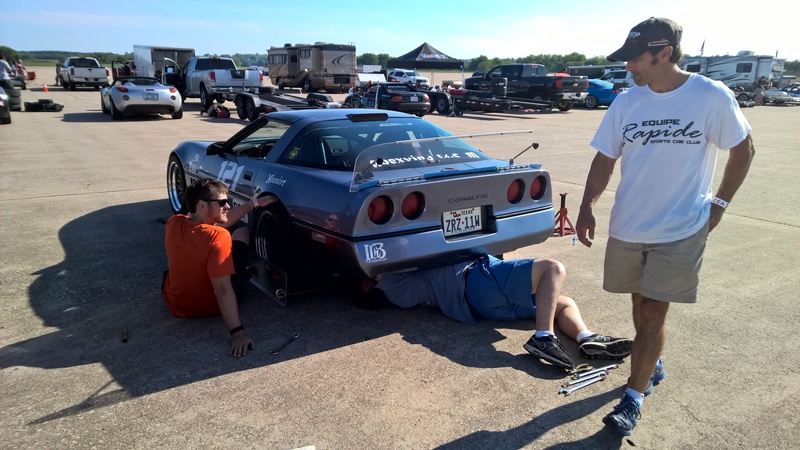 They drove over 900 miles to a Corvette specialty junkyard in Missouri and returned in time to get it fixed for the Tour! The CP field for the Tour was a pretty good set of cars. In no particular order, it included Wayne Atkins & Chris Cargill (195/95), Chris Miller (143), Bob Ely (27), Mark Madarash (91), Albert Hermans (43), John Williams (89), Todd Farris, and myself. Rain was a scare with water coming down early in the day, but luckily burning off so that we had dry concrete to race on! One of our primary goals for the weekend was to see where we stacked up against Mark Madarash. 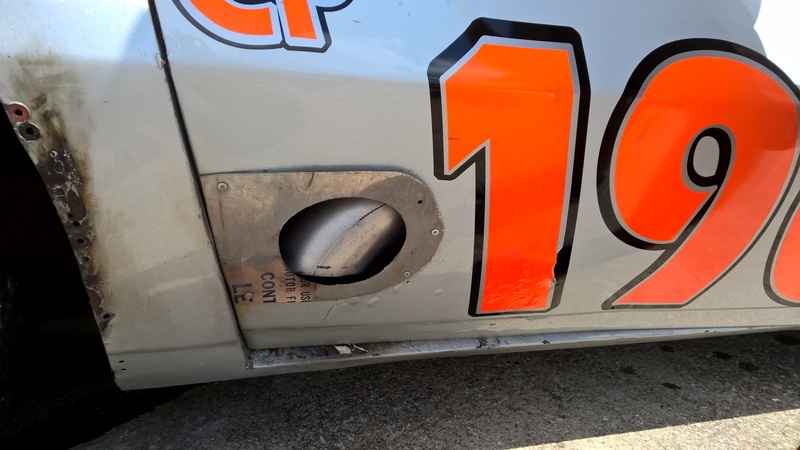 He’d made some changes to his car to take weight out of it including switching to an aluminum hood and changing out the back glass to plexiglass. Despite still having a full interior, he was at minimum weight! That just goes to show you how light a 3rd gen is! Mark struggled with fueling issues over the weekend that cropped up a little on Day 1, but were more prevalent on Day 2. Didn’t seem to hurt him much though as he put the hurt on us! Todd and I had a really rough Day 1, both having to stand on runs which were dirty. Todd’s fastest Day 1 would have been top time, but was dirty. I had been kicking myself all weekend after watching the videos from the ProSolo and was making an effort to be closer to the cones… which meant that I hit them instead! 2 dirty runs and a DNF meant that I was picking up the back of the field on Day 1! Day 1 ended up as Mark, Chris Miller, Todd, Wayne and Chris filling out the Top 5. Day 2 again had a rain scare at the beginning of the day, but it dried off for the afternoon runs! Both Todd and I drove MUCH better. We were 1 and 2 on fastest runs for Day 2, beating out Mark (who was complaining of fuel issues with the car). My performance on Day 2 unfortunately wasn’t enough to put me up in the trophies, but it still felt good to be back in the hunt challenging the leaders. Final results had Mark on top of Todd due to Todd’s cone on Day 1. Overall it was a very worthwhile trip. We learned a few things about setting the car up on the radials for Lincoln and we had a blast doing it. We’ve got a few events over the summer, check back for more on that.